WATCH: Bizarre scenes leave Hasim Rahman Jr. without a fight; his opponent literally runs away! The story of what took place in Durham, North Carolina last Thursday really is making its rounds on the internet. As per a new piece by Dan Rafael of ESPN.com, Hasim Rahman Junior – son of course of the former heavyweight king who shocked the great Lennox Lewis to briefly rule the world in 2001 – was to have fought debutante Joseph Coats in what would have been Rahman Jr’s third pro bout. But what happened stunned everyone; even seasoned, seen it all promoters. Reportedly, Coats, presumably suffering from a severe case of nerves, refused to leave the locker room for the scheduled four-rounder, staying put for 40-minutes. Then, when he finally agreed to enter the ring for the fight, Coats had another panic attack and literally ran – right out of the building. Rahman Jr. is now scheduled to fight on November 4. Let’s hope his opponent actually goes through with the fight this time. We’ve seen odd things happen in boxing but this one just might be unprecedented. In his biography, the legendary Larry Holmes, in utter honesty, writes of the attack of nerves he had just prior to his ill fated comeback challenge of an unbeaten Mike Tyson. What would happen, Holmes writes, if he decided, at the last minute, to not go through with the fight? Holmes, a great who proved his courage and fighting heart on numerous occasions, of course went ahead with the fight (being KO’d in the fourth-round) but poor Joseph Coats was conquered by his pre-fight nerves. Maybe the same thing would happen to a number of the many so-called “keyboard warriors” that are out there? It isn’t easy being a fighter; something armchair critics are too quick to forget at times. 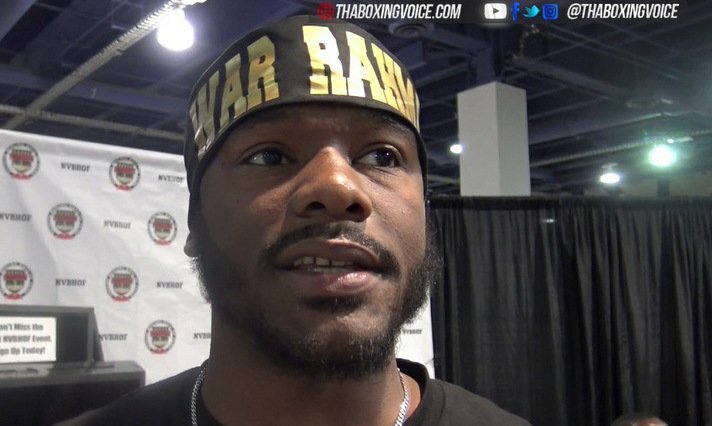 You are here: Home / Boxing News / WATCH: Bizarre scenes leave Hasim Rahman Jr. without a fight; his opponent literally runs away!